Calling all writers of flash fiction! 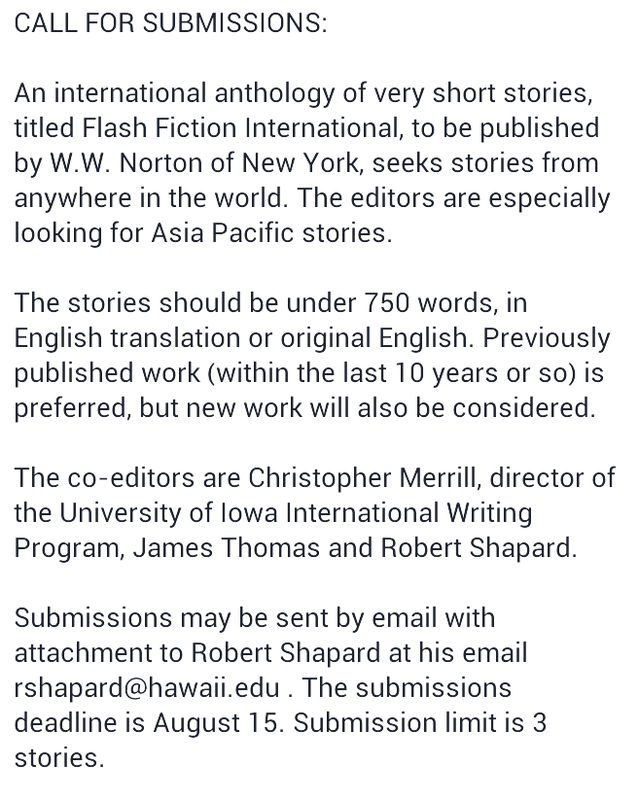 Below are the details of a fantastic new anthology being put together by W. W. Norton. So get ready to submit some wonderfully short stories!